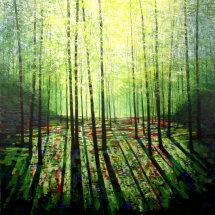 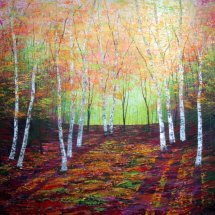 "Silver Shadows" comes from a lovely birch wood near my home in the High Peak and forms part of my Winter collection. 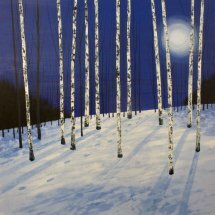 When it's snowy and the moon is full you can walk in the evening and it feels almost as light as day here. 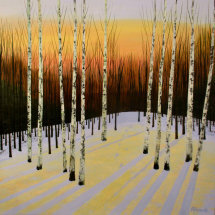 The wood is quiet with the dark tones and textures of the birch bark, it is soundless in the snow and very tranquil.